His attorney, Leonard Levine, said in a statement that Tyndall "continues to focus on the criminal investigation" and had no further comment. Three attorneys representing nearly 300 accusers say they're strongly advising their clients against joining the federal action so they can fight in state court. "The only guaranteed number in this case is $2,500 — $2,500 won't even get you a 50-yard-line seat at a USC football game, let alone compensate somebody for being sexually assaulted by their doctor when they were 18 or 17," said John Manly, an attorney who represents 180 accusers. Attorney Gloria Allred, who represents 36 women who have accused Tyndall, said in a statement that the amount of money under the proposed settlement is "way too minimal" for what some of the women endured. "We still don't know when did USC first know, how often were they warned, what administrators were involved, was there criminal conduct?" Manly said. "Our clients, more than anything, want those answers and people held accountable, not because it helps their case but to protect the future women at USC." Tara Lee, an attorney who represents USC, said questions regarding potential criminal conduct are being investigated "and those answers will be available when the investigation itself is completed." "The settlement process they're criticizing would not provide for that," she said. "The settlement process would be very victim-focused to address their needs and make sure they have their claims identified and awarded." "USC may quell the depth of the anger and upset by getting hundreds of other victims to join the settlement, but it's not going to be over," Arias said, adding that he and other attorneys will fight the settlement's approval. 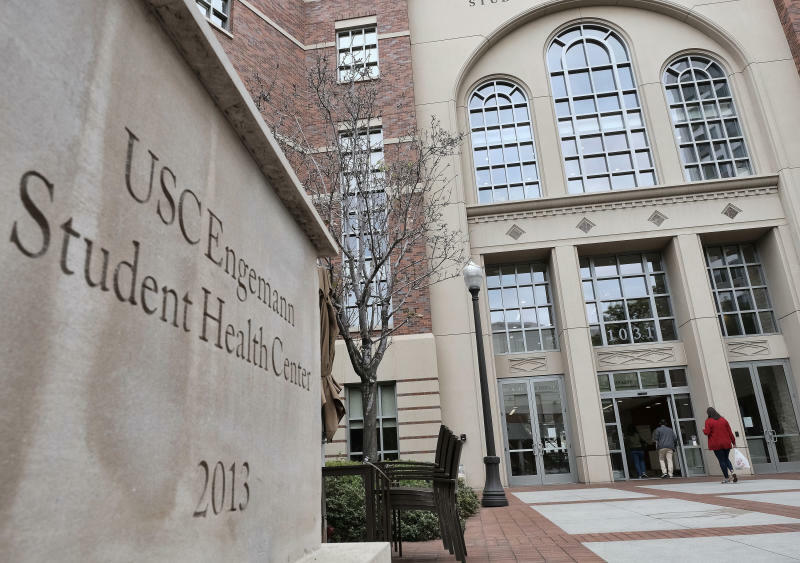 The university was first criticized in the case after the Los Angeles Times reported earlier this year that complaints about Tyndall's care went unheeded for decades and that USC failed to report him to the medical board even after quietly forcing him to retire. Austin said that since she became interim university president, "a fair and respectful resolution for as many former patients as possible has been a priority for the university and for me personally." "Many sweeping changes have been made and we continue to work every day to prevent all forms of misconduct on our campuses," her statement said. "I am part of an accidental sisterhood of hundreds of women because the university we love betrayed our trust," she said.